The Silk Road — the phrase conjures up a hazy image of a caravan of camels on a dusty desert track, carrying their wares along a chain of markets from the Far East to the Western world. 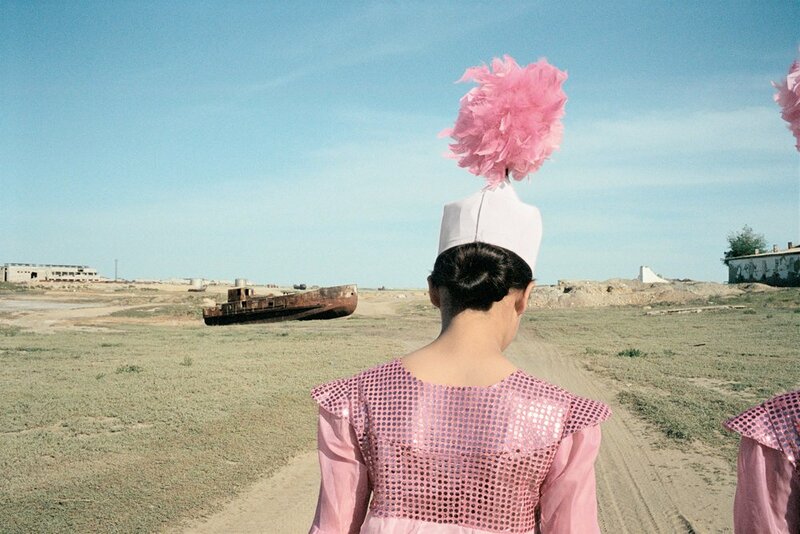 However, after a recent trip to Uzbekistan, I was convinced that a new Silk Road has emerged; one that is carving its own pathway into the fashion houses of the world, including Balenciaga, Etro and Oscar De la Renta. As a textile designer myself, I was keen to learn more, not only about the silk fabrics which are unique to this part of the world, but also to meet the artisans who create them. 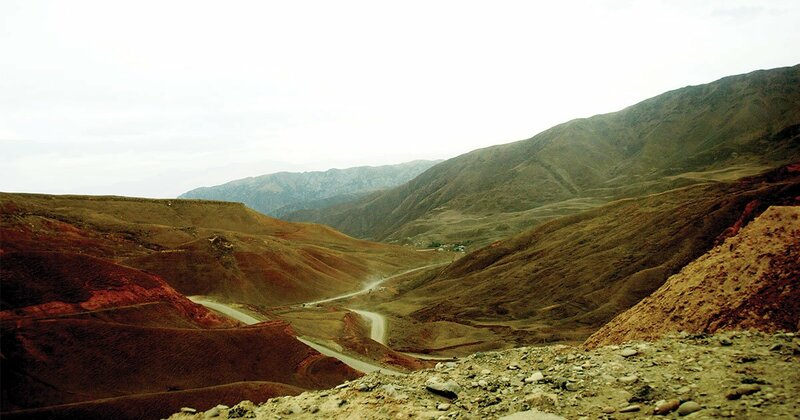 The Silk Road was a network rather than a single highway, at the heart of which sat what we know today as Uzbekistan, where mountains and steppe meet desert. A succession of empires lost and won by nomadic invaders have left behind a unique melting pot of cultures. Merchants, pilgrims and envoys were attracted here, not only by trade but also by exchanges in religion, technology and the arts. Where these people met, so too did their ideas and their creativity. There is a common assumption that the traditional textile practices belonging to non-Western cultures are dwindling at the hands of globalisation. In the case of Uzbekistan and its sericulture (silk making) this is untrue. 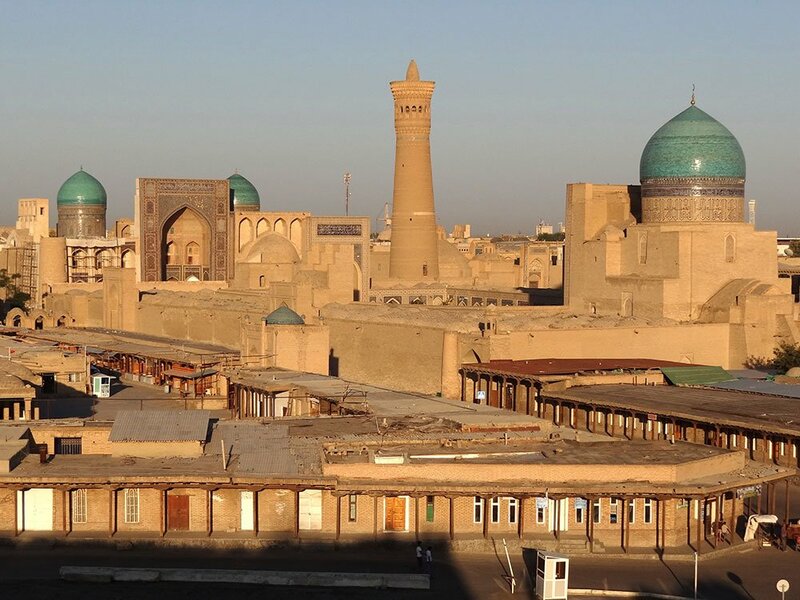 The allure of the Silk Road is never far from mind in the Fergana Valley, where fertile land, colourful bazaars and mulberry-lined roads meet at Uzbekistan’s industrial hub, which manufactures and exports silk internationally. 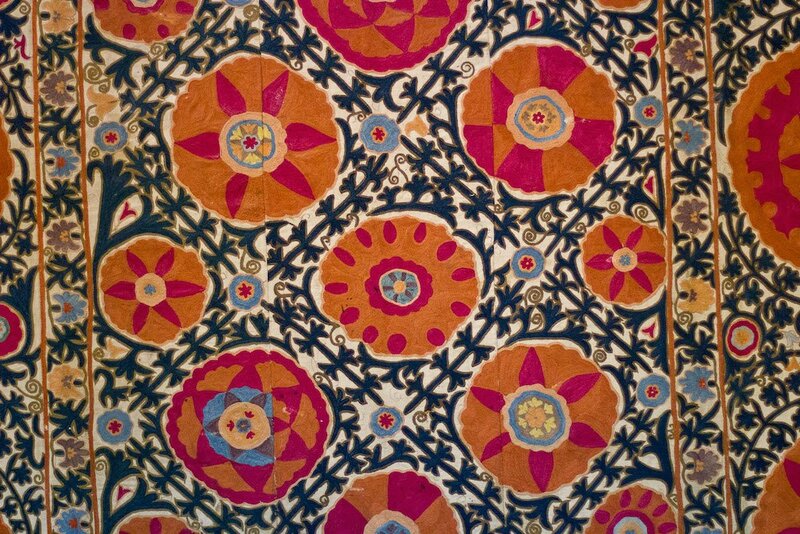 We can see some of the most original and visually dramatic examples of Central Asian silk in the national textiles of Uzbekistan. One of these is a fabric embroidered with silk threads, called suzani and another called ikat, which is woven with hand-spun silk yarn. Every suzani (translated from Farsi, meaning simply “embroidery”) has a story to tell. Embroidery of a suzani begins upon the birth of a daughter into the family in preparation for her marriage, when it will adorn the young bride's marital bed. Each suzani is identifiable from region to region according to the techniques and motifs used. The symbolism of the widely-used pomegranate, full of seeds, is clear-cut: granting fertility, abundance and prosperity to the newly-weds. 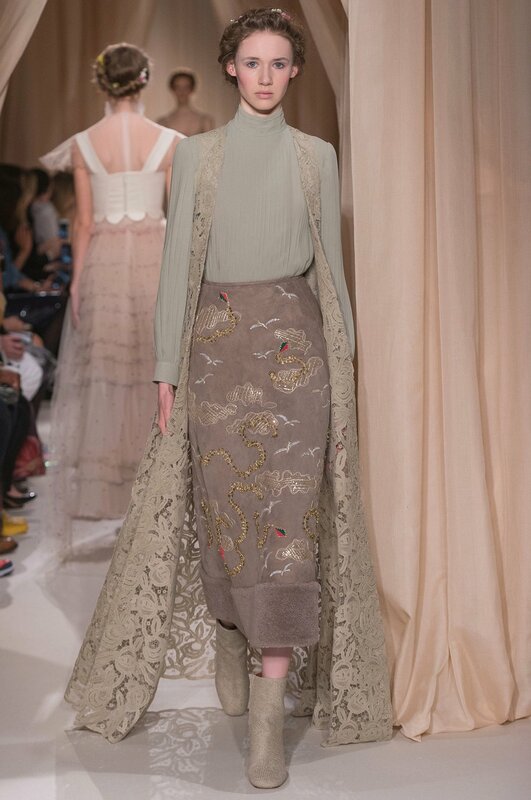 Most recently, for their 2015 couture collection, Valentino's creative director duo Maria Grazio Chiuri and Pier Paol Picolli took inspiration directly from suzani embroidery, most obviously with their prolific use of the pomegranate motif on a number of dresses. 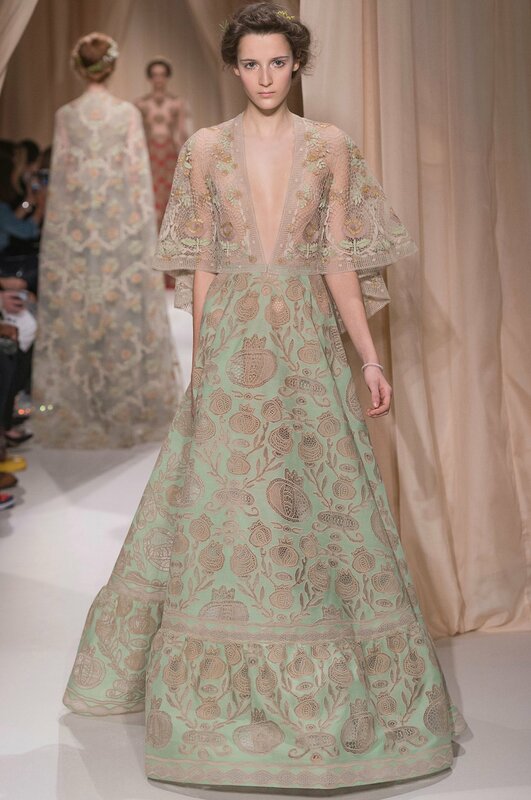 Similarly, the artisanal characteristics of the couture garments I have come to associate with Valentino resonate with the skills of the Uzbek textile masters: one Valentino dress from this collection took over 3,000 hours to embroider. As well as traditional embroideries, the colour-thirsty designers were captivated by the paintings, travels and ancestry of the Russian émigré artist Marc Chagall. They also looked to Uzbekistan's Silk Road neighbour Tajikistan, emblazoning sumptuous gowns with artwork from Tajik manuscripts. 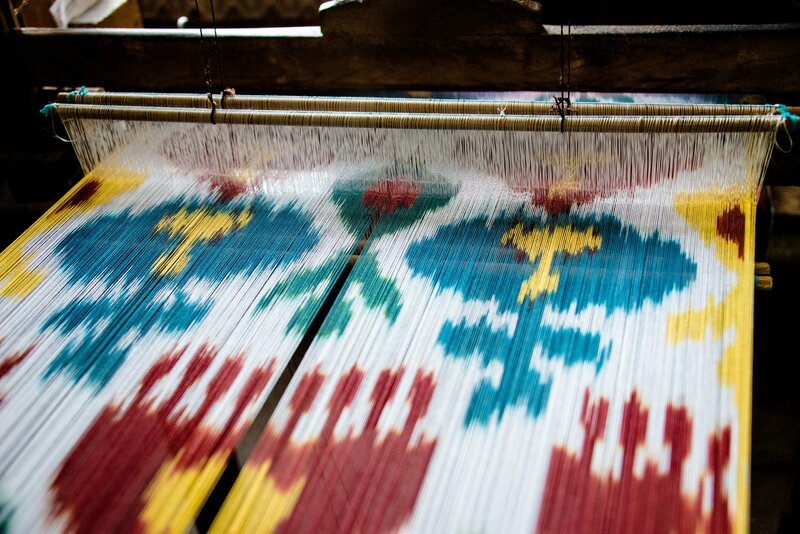 Ikat weaving has emerged from different parts of the world independently, and no one really knows the original source of this complex technique. However it is ikat from Uzbekistan, defined as abrabandi, meaning “bound cloud”, which is the most captivating, using a resist dye process whereby the warp yarns (vertical threads) are bound and dyed by hand before being woven with the weft yarns (horizontal threads). 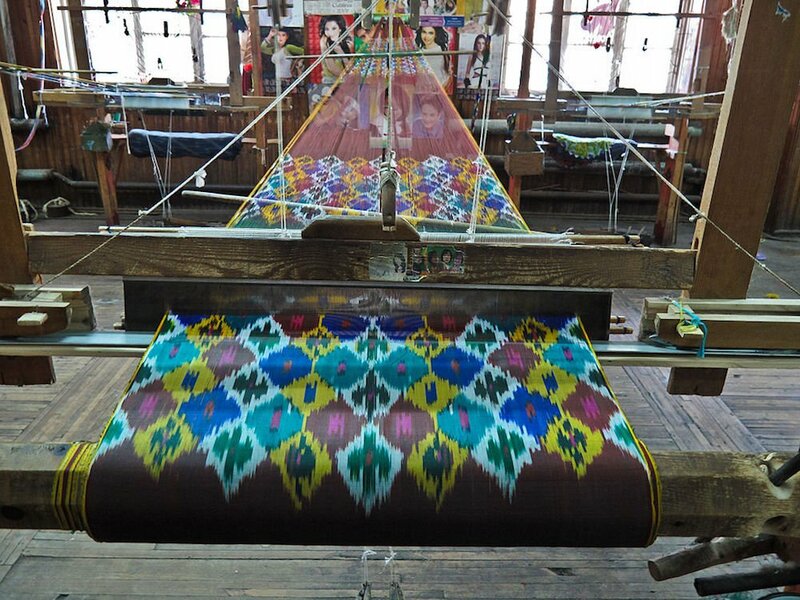 The cradle of ikat weaving traditions is the Fergana Valley, where the patterns and techniques have been developed and refined over generations. From the 12th century, royal commendation in Central Asian courts was bestowed not with medals but in the form of ikat robes. The Soviet regime brought about an abrupt end to such customs, when weaving became co-operative, production became standardised and designs were simplified and sold under trade names like Sputnik or Kremlin. However, with the fall of the Soviet Union and the arrival of independence, weaving and embroidery in this region have seen significant growth over the last 20 years, helped in part by a British Council-funded project in the late 90s and by the master craftsmen who had kept their ancestral skills alive by working secretly during the Soviet years. 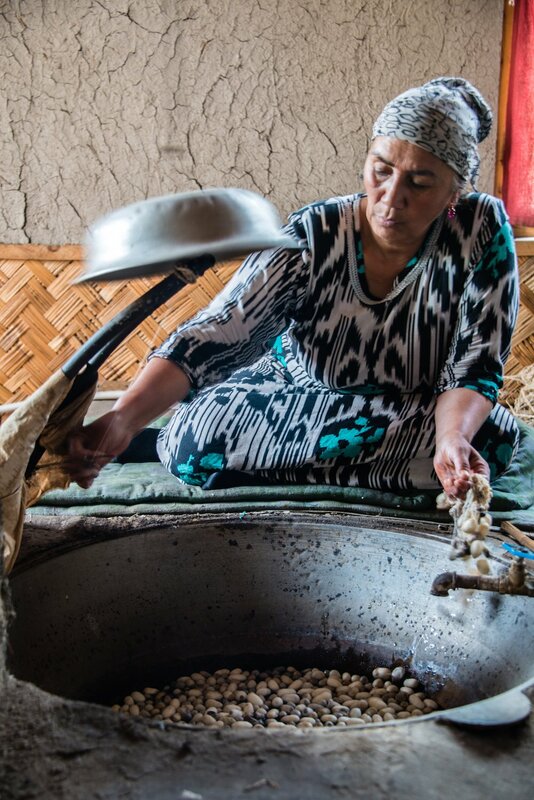 The Yodgorlik ikat factory is an unassuming collection of sheds and outhouses in the typically dusty city of Margilan in the Fergana Valley. When I visited the factory this year I was given a thorough and educational tour of the process from cocoon to cloth. 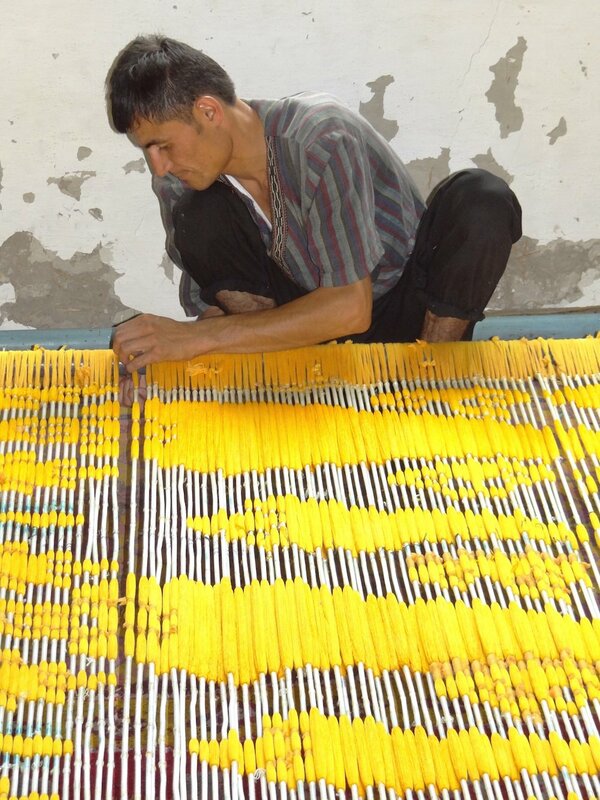 Here, the artisans of a new Silk Road hone their skills to become masters of their craft, producing silk ikat to be sold internationally, including to fashion designers — Yodgorlik wove silk ikat for Gucci's Spring Summer 2010 collection. As I watched in awe, gossamer threads unravelled from the cocoon of the silk worm and were spun into the finest raw silk yarn, and bundles of silk threads were hand painted and dyed using the relief technique, peculiar to abrabandi ikat, before being woven on hand looms. The attention to detail and finely-tuned skills of the masters is suitably couture. Time-honoured processes are highly valued and are taught to younger apprentices. The environment of creativity and concentration, combined with the click-clack of the looms, is almost meditative. 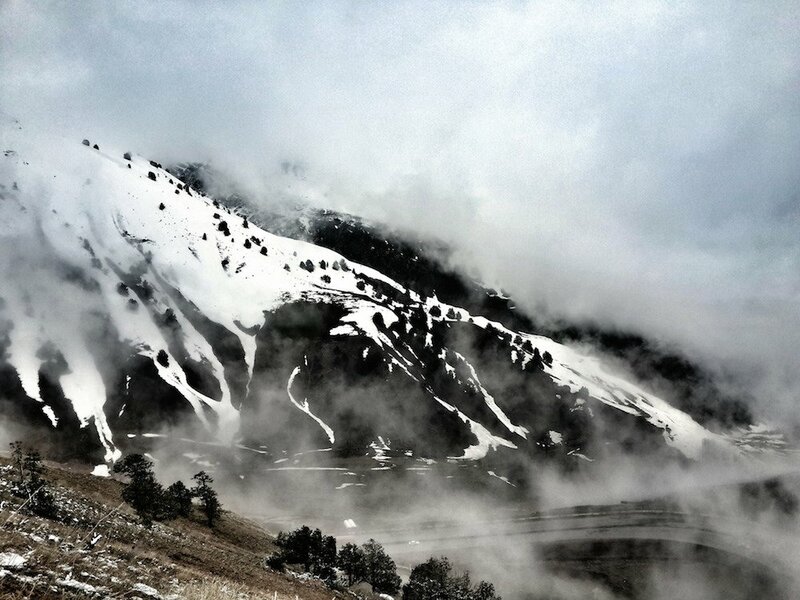 There is a pride too, in how natural everything is. My tour guide offers me a box of crushed pigments, roughly eight raw colours. “Where do you think each of these colours comes from?” he asks in near-perfect English. There is cochineal and madder root for red, dried pomegranate rind for gold, walnut husk for brown, indigo for blue. Though the beauty of a true woven abrabandi ikat is unmistakable, the production methods require many man hours and resources and are especially reliant on the dexterity of the master workers. Printed ikat designs have become far more conventional and are often worn by Uzbeks themselves, who can't afford the premium quality imparted by pure silk fabrics. Baja East's printed “ikat graffiti” has become something of a signature for the brand, which creates collections with an ambisexual, post-gender vibe from its New York studio. With this in mind, Baja East are re-interpreting ikat designs for their contemporary customers — bloggers, models, cool globetrotters. In fact, the construction of their garments, which the pair behind the brand have dubbed “loose luxury” — often drapey, tunics and harem pants — could also be a direct nod to the kind of nomadic, caravan lifestyle of bygone Silk Road traders. 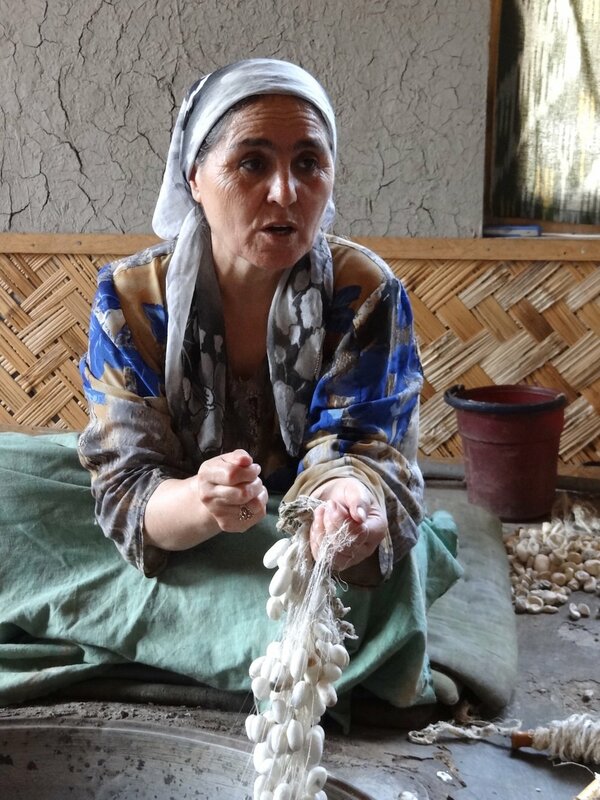 Fashion brands have consistently sought the textiles of Uzbekistan, and the dexterity of the New Silk Road craftsmen is embedded in their heritage. 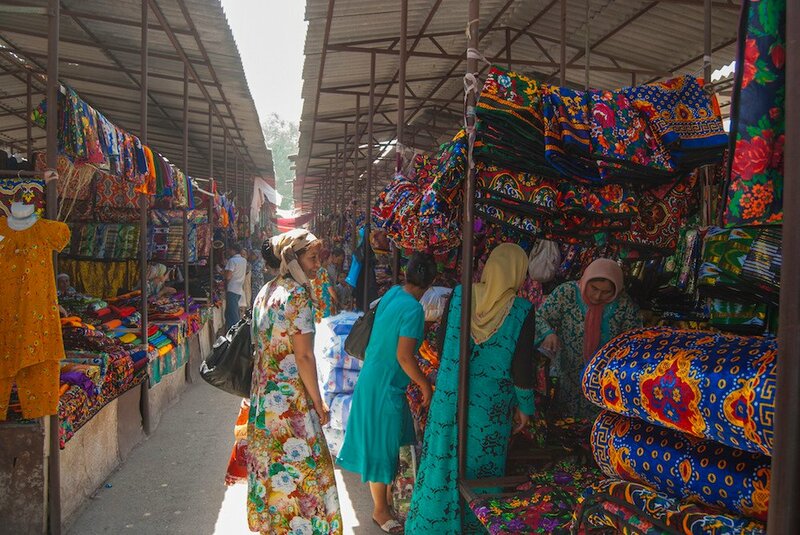 While both suzani and ikat remain important cultural and household items in Uzbekistan, the current trend for sustainability, craft and ethical products has helped spark a revival of Uzbek textiles in international fashion. 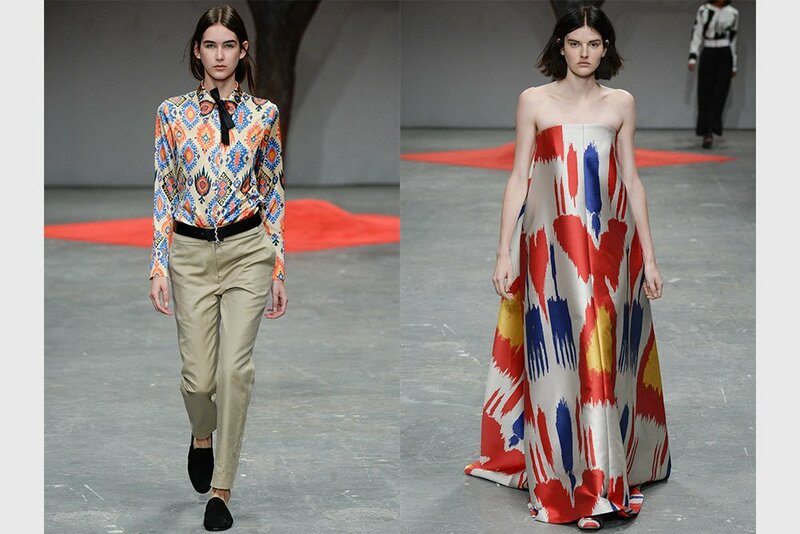 This month sees New York, London, Milan and then Paris play host to the unveiling of Spring Summer 2016 fashion collections. The stage is set for the artisanal weaves and embroideries of Central Asia to make their mark on the catwalk once more. 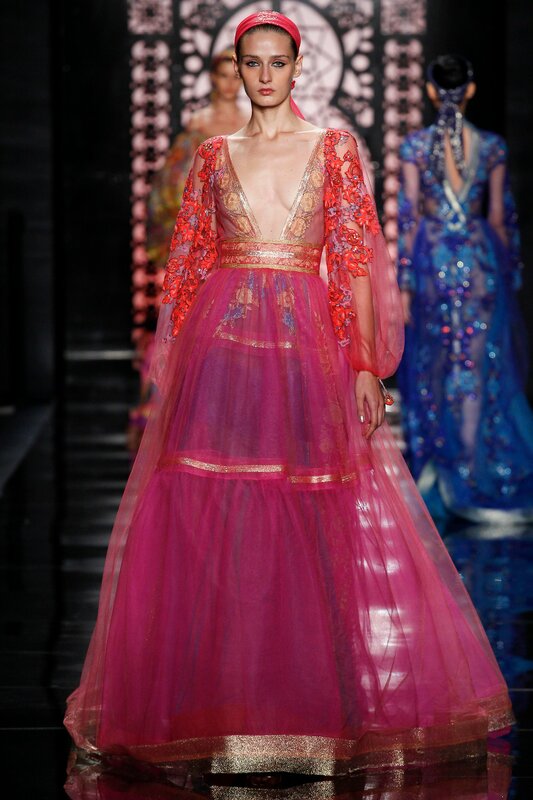 Reem Acra and Osman presented two such collections, in New York and London respectively, where each designer brought their own multi-cultural heritage to bear on Central Asian textiles with their individual handwriting and styling. Reem Acra, who hails from Lebanon but resides in New York, used decorative suzani style embroidery in her collection, while Osman, born in Birmingham to British/Afghan parents, used ikat weaves in his. Just as the Silk Road was once a pathway for cultural exchange, today in the melting pot cities of London and New York these traditional textiles are taking on a contemporary resonance.